You can’t escape Google – it’s everywhere. So when it comes to web design, web development and website analytics, here at Webstruxure we try to learn from Google instead. I remember the first time I used Google. I didn’t want to use it – I was perfectly happy with my go-to search engine at the time, Altavista. But my then workmates kept going on how about great Google was, and how it was the wave of the future – even though it was still in beta. That was in 1997. Twenty years on, Google is so ubiquitous that it has become synonymous with the act of searching – even Bing users don’t say “hang on a minute while I Bing it.” But the Google home page is now so familiar to us that we don’t notice how unusual it is: just the searchbox, a couple of buttons, and depending on the date, perhaps a Google Doodle. 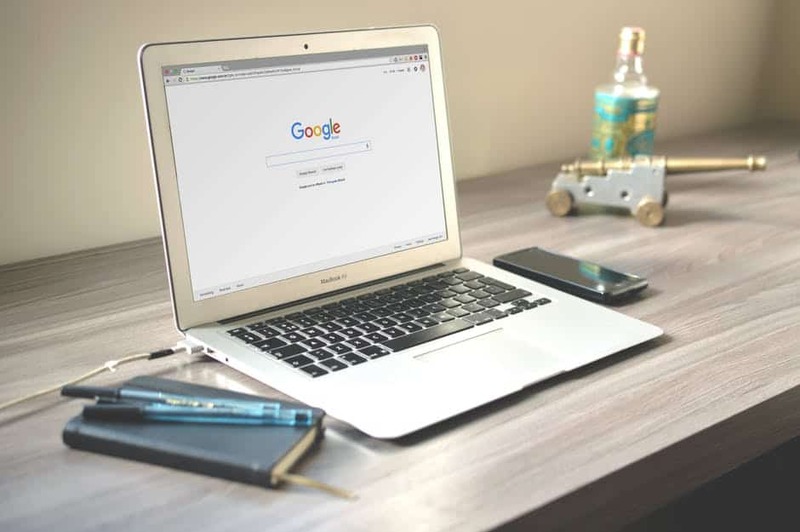 There are a lot of reasons for Google’s success, but in its early days, a big factor that drove users to convert to Google from Altavista and the other early search engines was precisely Google’s advantages in simplicity and ease of use. And that’s a really valuable lesson from Google even before we dive into the murky waters of Google Analytics: keep it simple. Don’t include anything that isn’t needed to enhance the user experience of your site or enhance the outcome for your business. If there isn’t a reason to include something, don’t include it. Users come to your site to find things out and/or get things done – your site’s job is to help them find that information or complete that task as quickly, efficiently and painlessly as possible. And if you manage that to your users’ satisfaction, you stand a good chance of converting users into clients, and clients into repeat clients. Google’s search interface has remained very simple – but the same can’t be said of Google Analytics, Google’s powerful suite of tools that provides insight into how many people visit your website, how they find it, and what they do on your site after they find it. Over the past few years, what started as a relatively straightforward way to find out how many page views and site visits your site has received has morphed into a powerful set of tools which give power users the ability to gain deep insights into a wide range of topics about the usage of their sites. But along with the increased power has come a great deal of additional complexity. It is not always easy to work out how to persuade Google Analytics to give you the information about your site that you’re trying to find. Which pages on your site get the most visits? What search terms do people use to find their way to your site? How long do users spend on your site? … but can also provide many other, deeper insights into user behaviour. A handy rule of thumb in web design is the “80/20 rule”. This states that, give or take, 20% of the pages on your site generate 80% of the visits. On some sites, the ratio can be even steeper: just 2 or 3 pages may generate over 90% of the site visits. And if your business strategy depends on getting lots of visits to pages that actually aren’t being visited very often, then you need to either rethink your strategy or take steps to ensure those pages get more visits – which may include using Google Adwords to drive visits to those pages, or reorganising the information architecture (structure) of the site to make those pages more prominent. In Webstruxure’s experience, many clients are unfamiliar with how complex and powerful Google Analytics has grown. They still think of it as an easily configured tool that just gives them a one-page monthly report showing how many people have visited their site in the past month. At our Wellington office, Webstruxure still gets requests from new clients asking us to set up such reports for them. We can certainly set up a basic monthly Google Analytics report for you, but the scope of reporting available is now so extensive that we often recommend that clients set up – or ask us to set up for them – customised reports that meet their particular information needs. When you have a project to redesign or redevelop your site, these reports are especially helpful to establish a baseline and inform the development of the information architecture and content strategy for the new site. Google can teach you a lot about web design, provided you ask it the right questions.